Often the moment I have extra cash in the bank comes some unexpected expenses. This weekend was a perfect example of that. Took my car into a local dealership I’ve gone to for 2 years for a couple of different jobs. Inspection, oil change, tire rotation, rotor resurfacing (due to longer break times / slight grinding coming to a sudden stop) and emissions system recall. My serpentine belt / drive belt needed replacement. Hasn’t been done since 2010 so I didn’t make a huge deal about it. Tire Rotation: 0.00 (they charged me 19.95 for this). Texas State Inspection for One Year: 40.45. Less 19.95, as they agreed I shouldn’t be charged to rotate my tires since I bought them there. 435.74. At least the car got washed. The experience is even more proof that I need to do things a-la-carte from now on from reputable service shops. The service advisor also said nothing to me about recall work not being done on account of an problem with their CONSULT system after talking with me twice on the phone and in-person. Not very professional if you ask me. I will be trying another dealer closer to me from now on. They also seemed to have an attitude when I asked about charges on the receipt after signing it. Today I went to Target and spent 155 on various items. An outfit, food for the week so I don’t eat out for breakfast, lunch or dinner, dry and wet cat food, personal hygiene products, etc. I could easily spend $30 a day on food that I feel guilty about eating so I think the money spent was well worth it. I closed my car door, applied pressure to the brake pedal and pushed the push-button start. No ignition start. Dash lights just flickered a bit. Called a friend to give me a jump. A good samaritan with a CJ-styled Jeep offered to give me a jump but couldn’t figure out to pop the hood open… My friend showed up about 30 seconds later. After 10 minutes I was good to go. My Duralast Gold battery was originally purchased at Autozone April 2010 after my car wouldn’t start at a friend’s house when I had the heated seats turned on, but the engine off for 30 minutes. So about 27 months on the OEM Nissan battery died on me. Drove 5 min to Autozone today, explained the issue with my battery. They asked me to remove it myself in the excruciating heat and provided me tools. Not a big deal though, as I had to do it before. The DLG is good for 5 years under warranty. The employee at the desk said they could charge it if I waited for an hour. As far as I’m concerned charging isn’t a reliable way to deal with the problem. Last thing I want is to be stranded miles away from home with no one around to assist me, or unable to get anywhere at the worst possible moment. Picturing first day of the job or a late night trip out with friends. This is the third time I’ve been stranded with battery problems and my aftermarket stereo system isn’t helping with the added drain of sub, two amps, higher wattage batteries, etc. Long story short. about 120 for the battery, less $65 pro-rated credit for the battery, so out of pocket about $85. 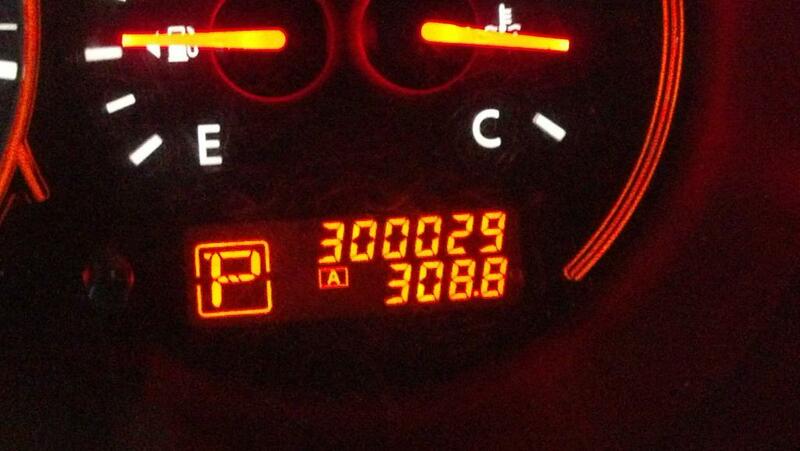 Looking at forums, one guy with a 2008 Nissan Altima just like mine managed to rack up 300k without any major problems other than a CVT replacement early on its mileage. I will be tired of my car long before then but it’s nice this thing could last me another 5 years with routine maintenance. All of these expenses were paid on my debit card, in part due to the life insurance policy I cancelled out and received a cash surrender of $1k for. I used half of it to make an additional $500 student loan payment and the rest stayed in my checking / was eaten up by my car expenses. My 20-year term policy is almost done being setup, had a physical on Friday and the money was pulled from my account. Emergency fund isn’t where I want it to be but I am doing what I can to accelerate the debt snowball.